Say "oui" to this new French resto. 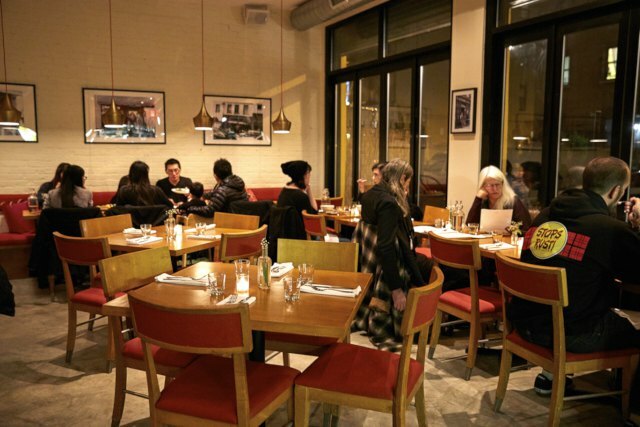 If you had a French grandmother and she opened her own place, it would probably look a lot like Le Garage, a new bistro-meets-Bushwick at 159 Central Avenue. One of the most anticipated openings this fall, Le Garage opened on Saturday to a swell of diners looking for a taste of French home cooking. Once you approach the restaurant on the corner of Suydam and Central (and neighbor to Maite), it's pretty clear why it merits the buzz. Occupying a former garage space, the new fine dining destination looks nothing like its past life. A sunny yellow exterior gives way to an elegant and simple interior complete with a skylight, long bar and open kitchen. The intimate space would not be out of place on a little side street in Paris. Linger over a glass of Rosé and good conversation, and you might just end up spending several hours here. Besides the gorgeous setting, the next thing you'll notice about Le Garage is the warm greeting from owners Catherine and Rachel Allswang. 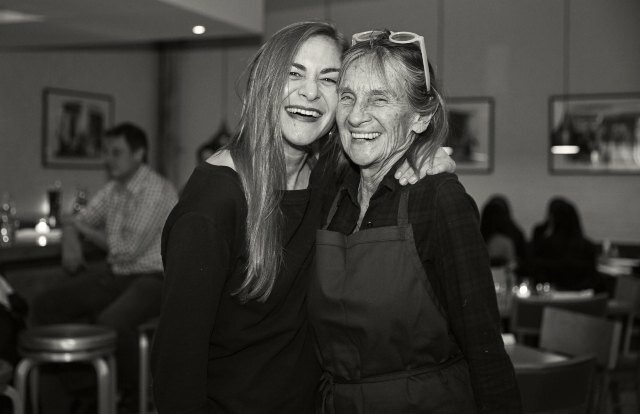 A mother-daughter powerhouse, Catherine currently operates four restaurants in Paris - La Laiterie Sainte Clotilde, Le Sept/Quinze, Chez Graff and Café de Mars - as well as South Park Café in San Francisco. Rachel, a former interior architect, left the business to partner with her mother to open Le Garage. 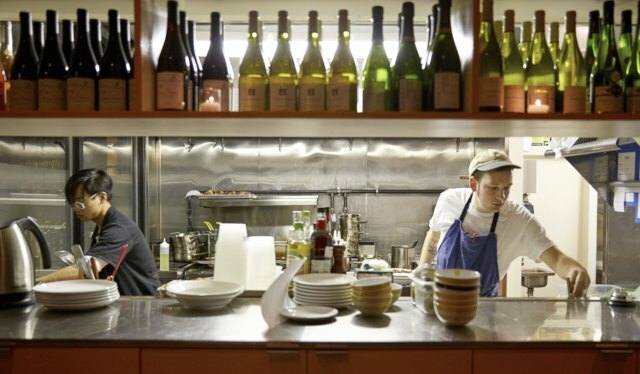 Seeing them together is a marker of the restaurant’s appeal: warm, inviting, familiar. "We are very close. Sometimes too close," Rachel says with a smile. Le Garage is anchored by a long bar which Rachel tells me is fashioned from an old bowling alley from the Hudson Valley. 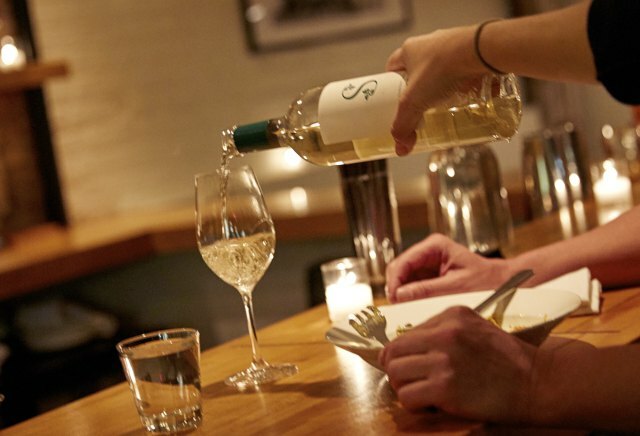 Behind the bar, the team has devised a no-fuss list of organic and natural wines, beer and seven cocktails, each one named for a French heroine. 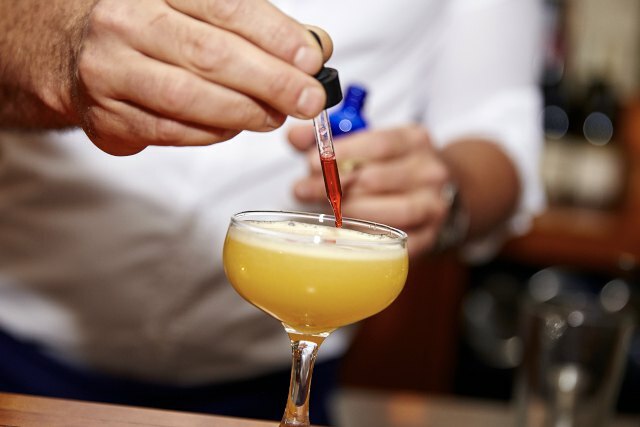 Designed to mimic classic aperitifs (pre-dinner drinks) , watch the bartenders craft dangerously good libations like the Passionate Tart – made with vodka, passionfruit, lemon and Peychaud bitters. Now, on to the food. While Catherine grew up in Paris, she spent many vacations in Normandy and says her cooking is a reflection of that region - meaning she doesn't skimp on cream and butter. So yes, her short and sweet menu doesn’t shy away from duck fat and dairy. Yet while her food is distinctly French, she plays with different ingredients from having lived in places like Peru and Morocco. 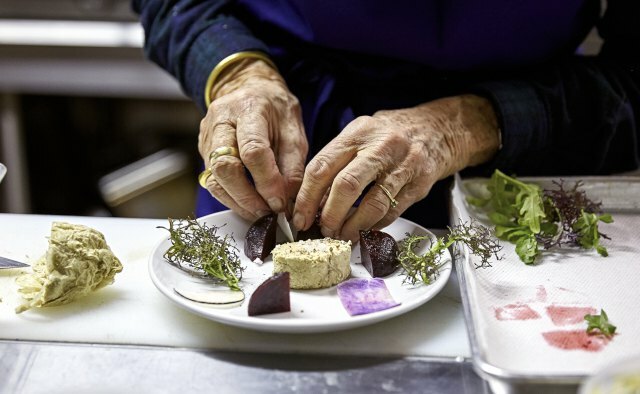 Her menu is full of familiar and unexpected pleasures: a simple starter of radishes and sesame salt sits side-by-side an elegant plate of homemade foie gras, served here with baby beets and winter radish. Everything on the menu is meant for sharing and encourages diners to mix and match. 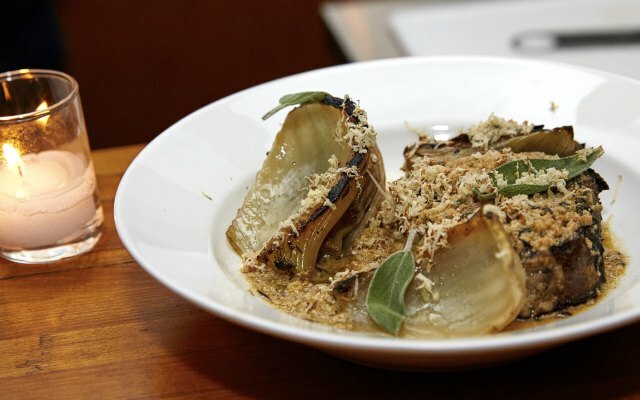 For heartier fare, you really must try the braised pork shoulder in milk with roasted fennel and chestnut. A classic French dish, the tough cut of meat is roasted then slow cooked in milk until it is achingly tender. Rachel tells me sourcing local ingredients is important to Catherine and the restaurant, although Bushwick has a way to go before it can measure up to the bounty found in France. Yet the menu doesn’t falter in the slightest and reflects the finesse of its experienced chef. 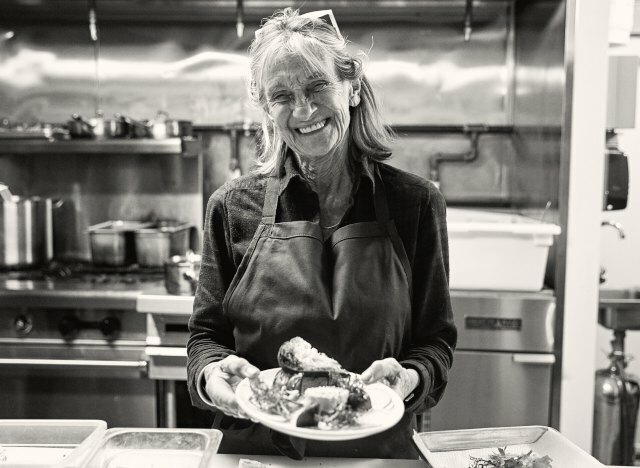 And if you doubt her, just check out the well-worn cookbooks from master chefs like Michel Guérard and Alice Waters that rest on the little nook next to the kitchen. For Rachel, who recently moved from Carroll Gardens to Ridgewood, opening a restaurant in Bushwick was a no-brainer: "People are curious, they love food here. And actually, there's a lot of French people in Bushwick." "It's more authentic than Carroll Gardens," chimes in Catherine. "More pure." Having grown up in restaurants all her life, Rachel hopes Le Garage will become a second home for people, much like it is to her. 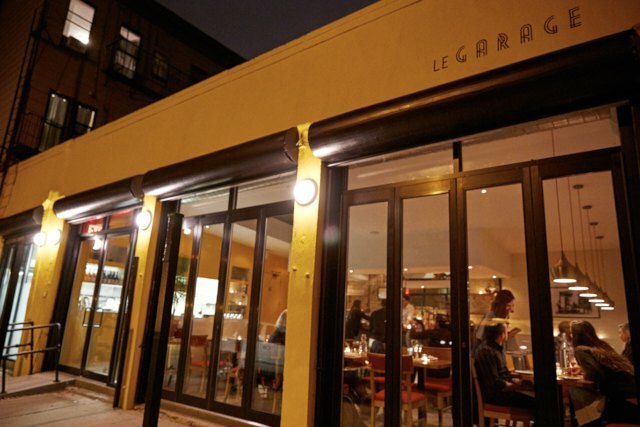 For a taste and feel of Paris in Bushwick, look no further than Le Garage. À bientôt. 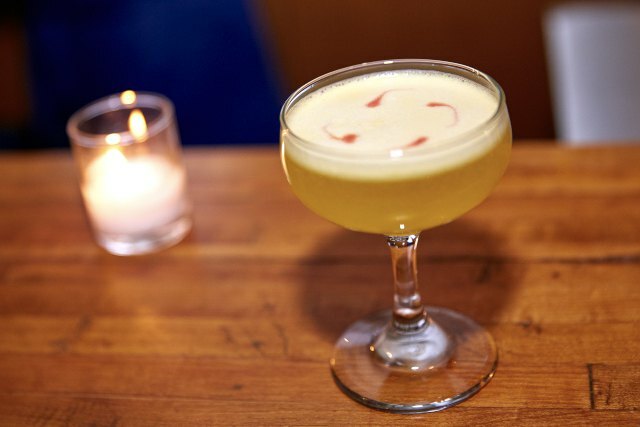 Le Garage, 159B Central Avenue (Suydam Street), Bushwick.Hours: 5 pm-11pm Sunday-Thurs, 5 pm-12 am Friday and Saturday. 347-295-1700, legaragebrooklyn.com.